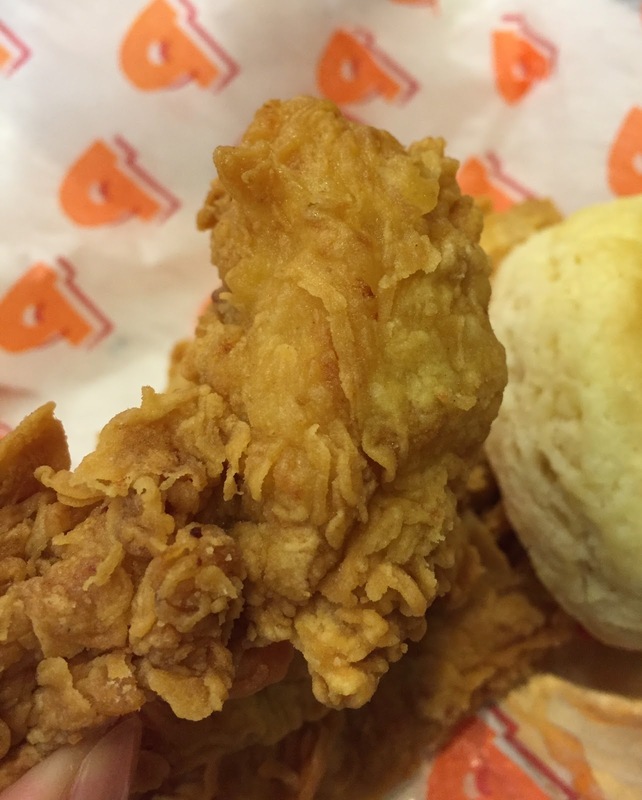 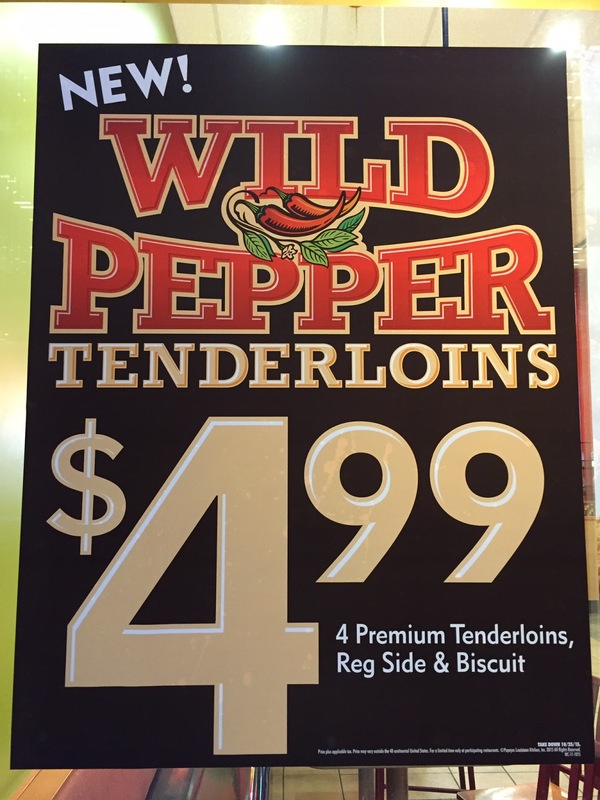 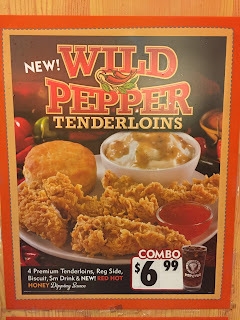 We tried new Wild Pepper Tenderloins at Popeyes. This flavor was launched on September 28, 2015 and will be available till October 25. 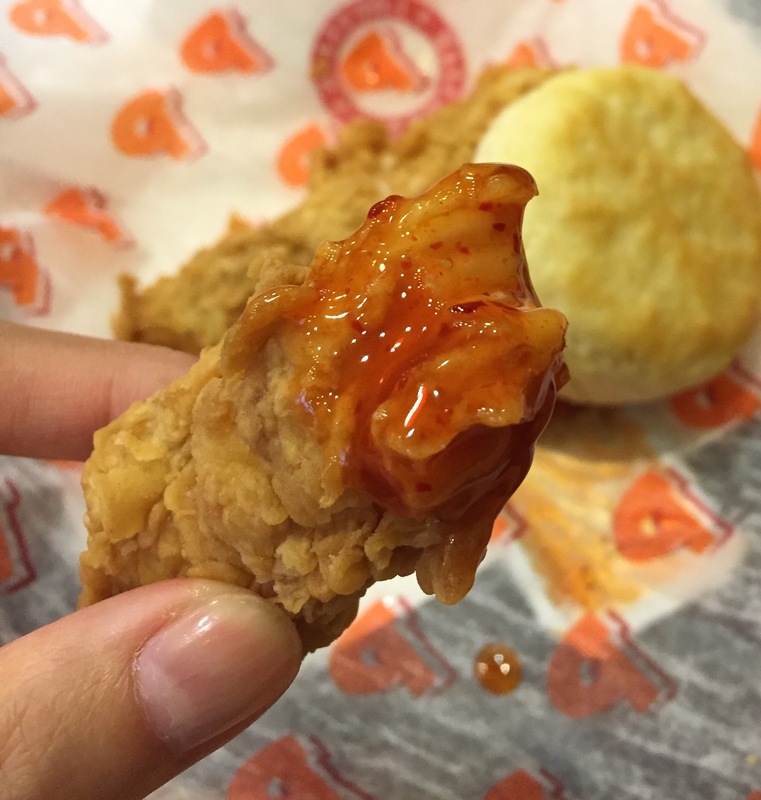 The chickens are marinated in a blend of habanero, aji amarillo and Szechuan. 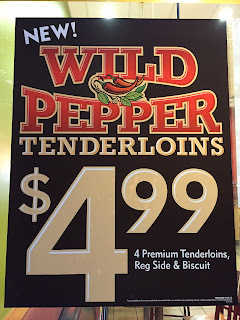 * I think Szechuan means Sichuan pepper. However, the chickens looked nothing but ordinary. There're 4 tenderloins with a biscuit, and for a side, we chose macaroni and cheese. 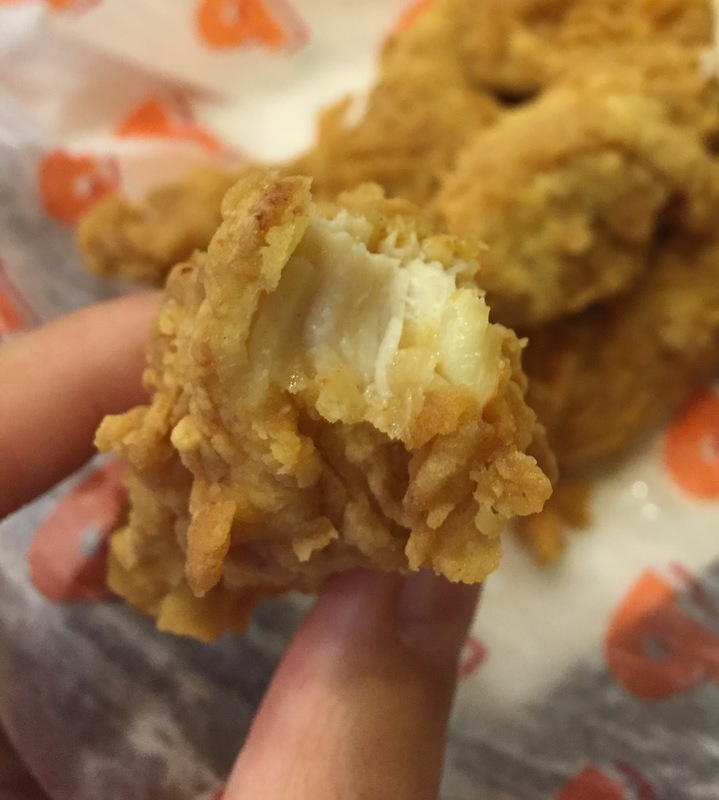 The breading was crunchy and crispy. 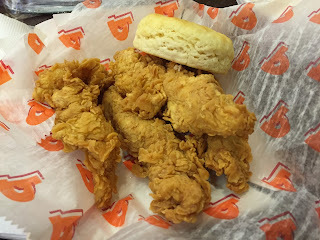 I saw some red dots in the meat though I didn't see any int he breading. First it tasted regular tenderloin, but while chewing, the heat gradually appeared and I enjoyed the little spiciness. 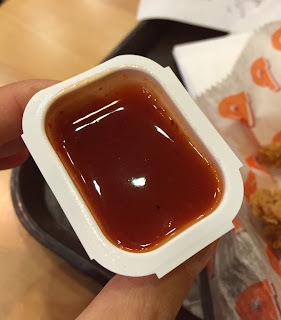 "Red Hot Honey Dipping Sauce" was also introduced along with the flavor. It tasted like sweet chili sauce but much thicker as it's honey. 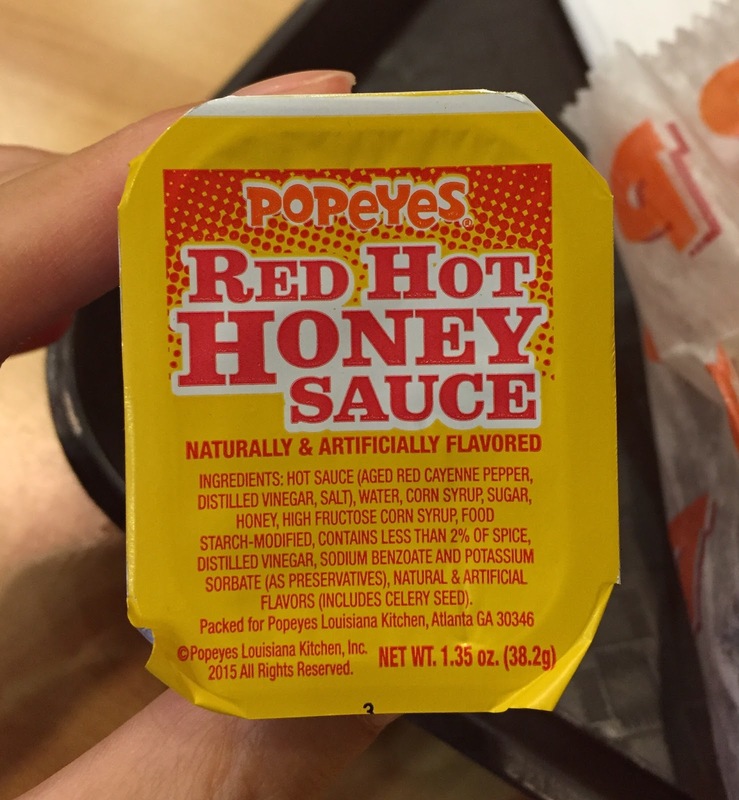 Some peppers in honey added more heat to the chicken, and the sweet and spicy flavor was really good. 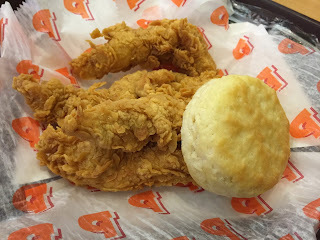 Biscuit was soft, salty and oily as always. Macaroni and cheese was soft and the cheese sauce didn't have much flavor like before.